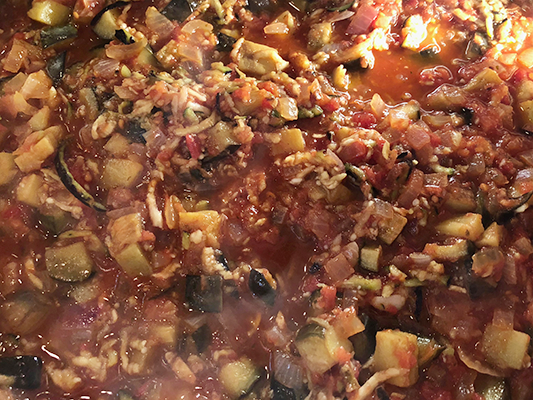 This is a variation of the traditional dish where we use sautéed eggplant as well as grated eggplant in the mix. If you have any left over you can use it as your tomato sauce base on pizza. 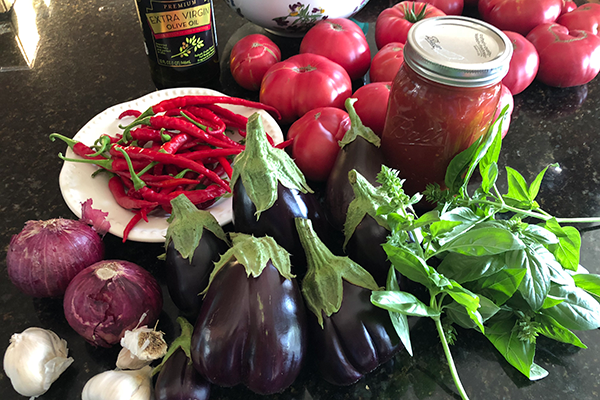 Chilies, eggplant, fresh and bottled tomatoes and basil from the 2018 garden. 1. 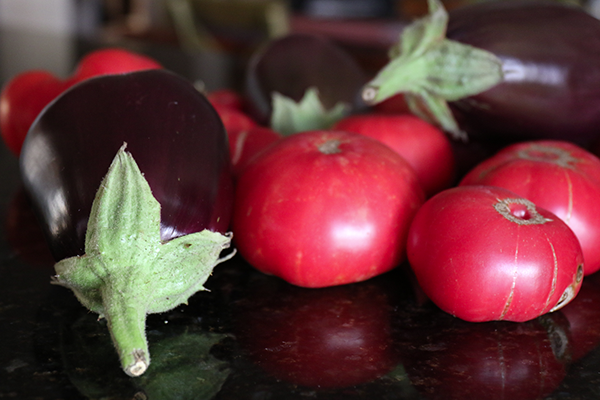 Cut one eggplant into small cubes. 2. 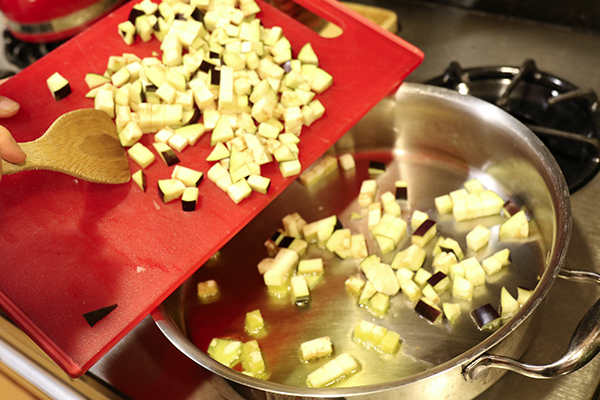 Heat a large pan with olive oil – add chopped eggplant and sauté until brown. If small pan cook in batches. They will absorb more olive oil than you expect. 4. Chop onions and sauté. 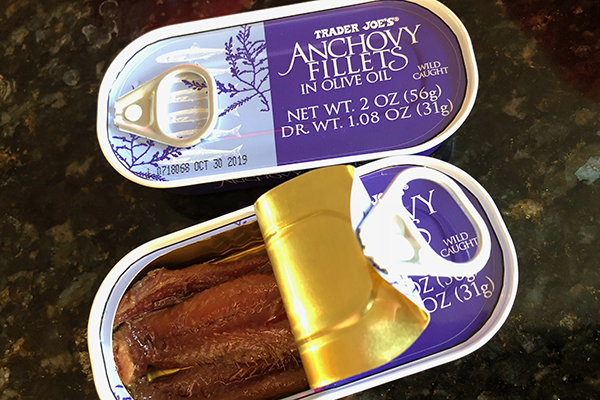 Add garlic and and chopped anchovies if using. 5. Return eggplant to pan. 6. Sauté for a few minutes. Add a chug of white wine if using. You have to time the pasta to be ready when the sauce is. Use spaghetti or pasta shapes. 7. 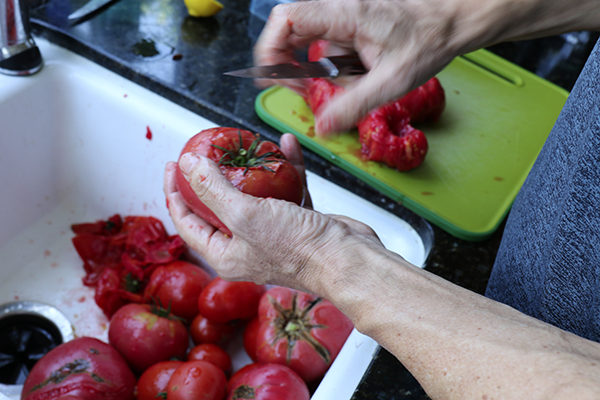 Prepare tomatoes – if using fresh tomatoes remove skins and blend in food processor or blender. If using canned or crushed whole tomatoes – blend. 8. Add tomato slurry and stir to loosen any stuck bits in the pan. 9. Grate remaining eggplant (this is our secret addition) and add to sauce. Simmer for 15 – 20 minutes or so until sauce is reduced. Add chili, dried herbs if using. 10. In the meantime boil water for pasta and cook according to directions. 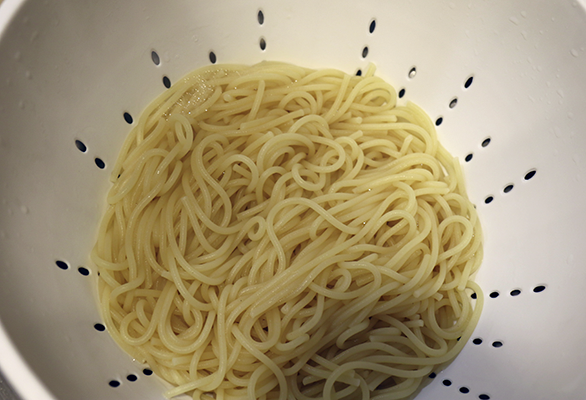 Drain when cooked – reserve a cup or so of water from the cooked pasta to add to the sauce if it is too thick. 11. Taste sauce – add lemon juice – and season as necessary. Add fresh herbs if using. Note: This is a strong, rich sauce. 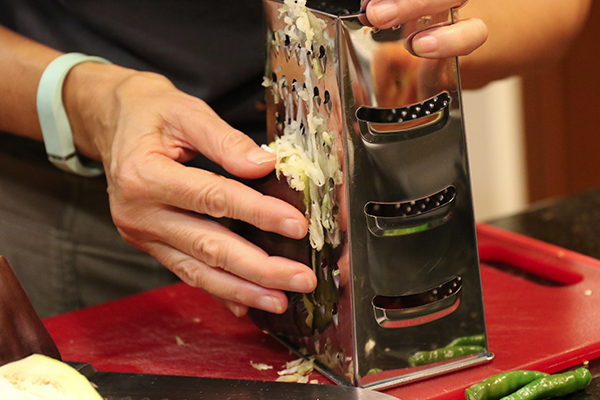 When ready it doesn’t need anything else – but you can serve with freshly grated Parmesan of toasted pine nuts.